This week in maths we have been learning about co-ordinates and we were fab at reading co-ordinate grids so we started to link co-ordinates into direction. We made our own pirate co-ordinate maps and tested our partners to see if they could identify the different features, and we all challenged each other with our giant co-ordinate grid. Connor use some adventurous vocabulary in his story about the pirate chest. He included great description, and developed his story with a beginning, sequence of events and an ending. He also had beautiful handwriting with carefully formed letters. We are currently entered in a national contest on SumDog running until the 17th January!!! It involves schools from all over the UK, there are 214 school entered altogether!! 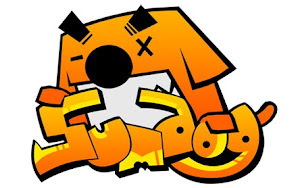 Click on the SumDog logo below to enter, then click on the green 'contest' button on the left hand side of the page to compete and get our school moving up the leader board.....Mrs Warner's class has currently played and they have got us to 33rd place so far!! This morning when we came into class, we had a surprise package. We passed it round the circle and guessed what we thought it might be, some people thought it was sugar, some thought it was a map and some thought it was empty!! When Jack opened it for us we found a message in a bottle from a pirate!! We read it carefully and found out the pirate had sent it from a ship on the Atlantic Ocean and his ship had been invaded by sneaky pirates trying to steal their treasure!! Can you remember what he said he had been busy doing? 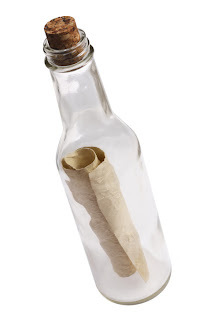 This week in literacy we are writing replies......What would you write if you were putting a message in a bottle? I'm am so proud of these children and a HUGE congratulations for their 100% attendance since September 2012 when we came back in the new school year!!!! Remember it is so important to try and come to school everyday so you don't miss anything and learn about all the interesting things we have to squeeze into each busy week!!! Our First Week As Pirates!! Tayjus ensures every sentence he writes makes sense, he uses the correct tense, and some very high level words to make his writing exciting and interesting for the reader. He has also used a wide range of punctuation in the correct place! Well done Tayjus!! Can you make up your own sorting activity using either a Venn diagram or a Carroll diagram with objects you can find around the house? This term our topic is pirates and today we brainstormed all the the thing we knew about pirates and what we would like to learn over the next 6 weeks. You came up with some great ideas and lots of things we can really get our teeth into....famous pirates, pirate poems, designing pirate ships and Gallions, and moving carriages for our treasure, messages in bottles, a history of pirates and what they wear, treasure maps and some of our own map reading....and much more!! We are going to be busy!!! There is a fun pirate spelling game HERE....challenge yourself by trying the extra hard spellings!! Hi everyone I hope you are all having a fabulous holiday and have had a wonderful Christmas!! I am missing you all and looking forward to seeing you next week, I have made us a 'Wallwisher' where we can share what we have been doing over the holidays...it is like an electronic notice board, add your sticky note onto the board and once I have approved it, it will appear for everyone to read! !